Focus, Discipline, Control? And FUN!! ​Is YOUR preschooler prepared for the challenges of elementary school? 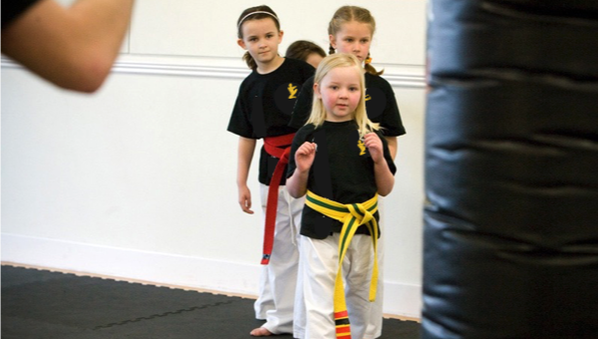 Our unparalleled approach combining therapeutic play with martial arts themed life skills will put your child ahead of their class! Going beyond the county's No-Tolerance Policy for Fighting, we focus on giving kids the critical skills they need to succeed through life: learning bully prevention techniques, boundary setting, proper body language, anger management skills, confidence building, teamwork, and the crucial difference between assertive and aggressive. Being a TWEEN is not easy. Trying to fit in, find confidence in self, and learn not only the physical skills to protect themselves, but the verbal and emotional skills to be able to stand their ground! DIetrich's TWEENS begin with both emotional and physical space protection with the added component of DEFENSE SKILLS. 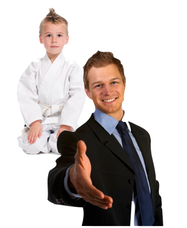 Utilizing the latest play therapy, behavior modification, gross motor, fitness and martial arts skills, our revolutionary approach integrates the family dynamic with auditory, visual and sensory conditioning skills that aid in a child's development as we ll as giving the parent tools that teach the child to respond happily and effectively. ONCE in a LIFETIME Birthday Parties!